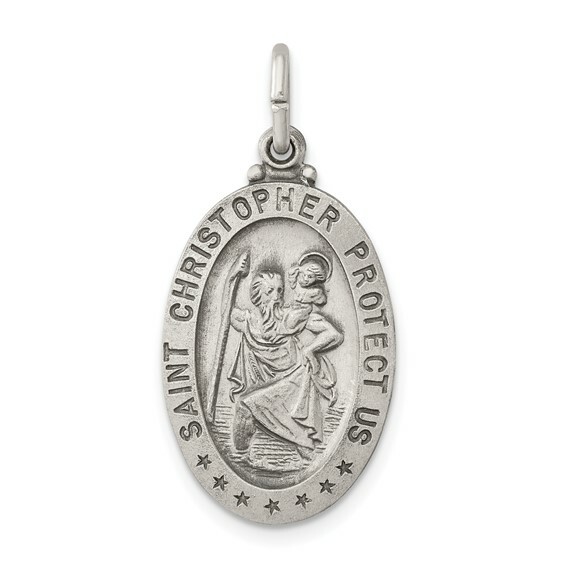 Solid sterling silver St. Christopher medal has a satin and antique finish. Weight: 2.14 grams. Measures 13/16 inch tall by 1/2 inch wide without bail. Chain not included. Flat back is engravable. I bought this as a gift for my husband. The medal is beautiful and the engraving just right. Fast, fast service. I'm very happy with Joy. I loved this medal as a gift because it was engravable.